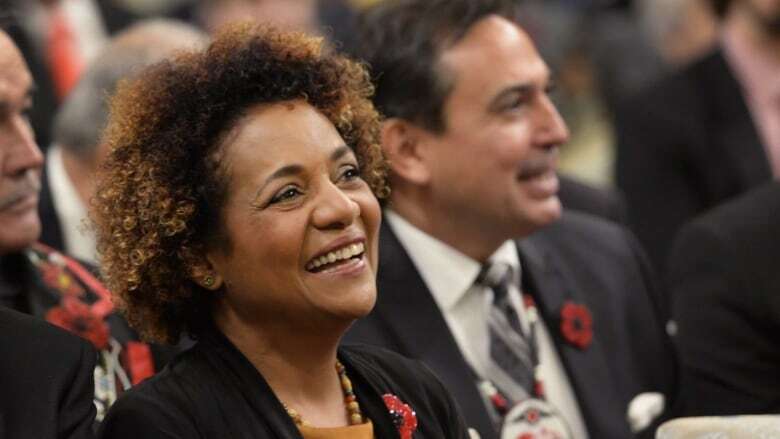 Canada is all but abandoning its support for former governor-general Michaëlle Jean as she campaigns for a second term as secretary general of the Francophonie. Canada is all but abandoning its support for former governor general Michaëlle ​Jean as she campaigns for a second term as secretary general of la Francophonie. The organization, representing more than 80 states and governments with linguistic or cultural ties to France, will select a new leader this week at its summit in Armenia. Jean has been the organization's secretary general since 2014. She's facing a strong challenge from Rwandan Foreign Minister Louise Mushikiwabo, who has the support of French President Emmanuel Macron, as well as the African Union, whose member states form a powerful bloc within la Francophonie. Prime Minister Justin Trudeau left for the summit Tuesday night. Melanie Joly, the federal minister responsible for la Francophonie, is already in Armenia. In a written statement, her press secretary Jeremy Ghio today wrote: "We have tremendous respect for Madame Jean's track record as secretary general of la Francophonie, particularly as it relates to the education ‎and empowerment of women and girls. With respect to the choice of the next secretary general, Canada will join the consensus view, as is the organization's custom." That consensus has been increasingly forming around Jean's rival. A source close to events in Armenia says the Canadian delegation has concluded Jean's chances of successfully campaigning for a second term are near zero. With that in mind, the source says Canada "will not go to the wall" to support Jean's bid. Trudeau has made phone calls in support of Jean's bid. Trudeau also invited several Francophonie members to join G7 leaders at their summit in Charlevoix, Que., this summer. Privately, however, there have been serious doubts about Jean's chances. Four years ago, when Jean was chosen as secretary general, there was no agreement on any one candidate from Africa. That's not the case this year; African leaders are coalescing around Mushikiwabo. At the same time, Canada has no interest in taking a confrontational approach with France or the African Union as it conducts its own lobbying effort for a seat on the United Nations Security Council. Earlier Tuesday, before the government announced its new position, a spokesperson for Jean vowed she would continue her campaign. "Madame Jean will fight for the job. She would like to be judged on her work and results," Bertin Leblanc wrote in an email. Jean has faced criticism about her spending as head of la Francophonie. Earlier this year, Quebecor Media ran stories about renovations — reportedly worth half a million dollars — made to Jean's taxpayer-funded apartment in Paris. Jean defended herself, writing that she was the victim of a ruthless campaign of disinformation. But federal Conservatives, who were in power when Jean became head of la Francophonie, turned on her, with one MP calling her an embarrassment to Canada. Quebec's premier-designate, François ​Legault, is travelling with Trudeau to the summit in Armenia. He also questioned Jean's spending and today announced via Twitter he would not support Jean's bid for a second term. 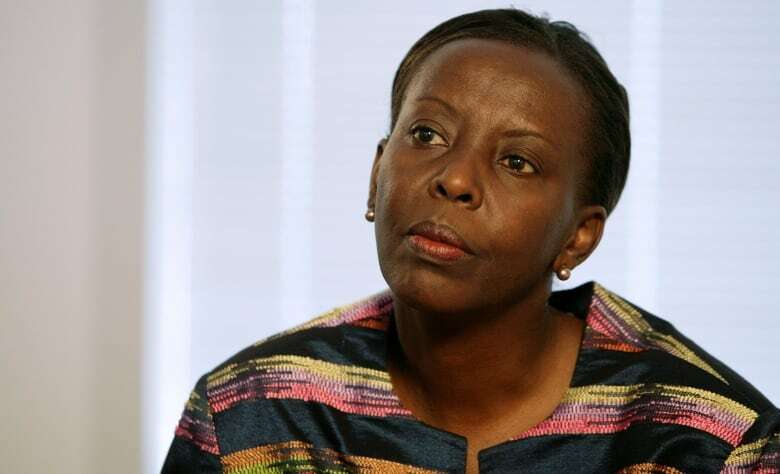 If Mushikiwabo is chosen to succeed Jean, it would happen in spite of her country's poor human rights record and the shifting nature of the French presence in Rwandan society. The vast majority of the country's population speaks the Kinyarwanda language. After many in Rwanda accused France of complicity in the country's 1994 genocide, Rwandan President Paul Kagame declared English one of his country's official languages in 2003. English would later replace French in Rwanda's school system. As this year's summit shows, however, a strong grounding in French is not necessarily a prerequisite for membership in la Francophonie. Leaders are choosing their new secretary general in the Armenian capital of Yerevan. While the city has a small French language university, it's estimated that less than one per cent of the country's population can actually speak French.